James Earl Jones was born in Arkabutla Township, Mississippi. His parents separated before his birth and he was raised by his grandparents on a farm that had been in the family since Reconstruction. When he was only five, the family moved north to a farm in rural Michigan, and the young boy found the adaptation so traumatic that he developed an incapacitating stutter. For years he refused to speak more than a few words at a time, even to his family. In school he pretended to be mute, and communicated only in writing. He began to express himself by writing poetry. In high school a sympathetic teacher named Donald Crouch saw through Jones’s insecurity. He challenged each student in the class to write a poem. Jones found inspiration in the citrus fruit the federal government had distributed in the area to relieve wartime shortages. When he turned in an “Ode to Grapefruit,” written in the epic meter of Longfellow’s “Hiawatha,” the teacher pretended to believe that Jones could not have written the poem himself, and challenged him to prove it by reciting it front of the class. With his own verses committed to memory, Jones found he could speak without stuttering. Crouch encouraged Jones to compete in high-school debates and oratorical contests. One happy day in his senior year, he won both a public-speaking contest and a scholarship to the University of Michigan. Jones entered the University of Michigan planning to study medicine, but found himself drawn to the theater. After completing service as an Army Ranger, he set off for New York City to pursue acting studies. It was not an easy choice. He lived in a $19-a-month apartment and scrubbed floors to make ends meet. Serious jobs for black actors were scarce, and Jones had before him the sobering example of his father, Robert Earl Jones, an actor who had been blacklisted for his political activism. After a number of small roles, James Earl Jones attracted the attention of critics and audiences with his intense performance in the American premiere of Jean Genet’s absurdist drama, The Blacks. This historic 1961 production introduced the theater public to a new generation of outstanding African-American actors; the cast included Roscoe Lee Brown, Raymond St. Jacques, Cicely Tyson, Godfrey Cambridge and Maya Angelou. Jones earned multiple awards for his performances in Moon on A Rainbow Shawl in 1962 and garnered an Obie as Best Actor in Off Broadway Theater for his performance in Clandestine on the Morning Line.. He received two Obies in 1965 for his work in Bertolt Brecht’s Baal and Shakespeare’s Othello. In 1968 Jones earned widespread acclaim for his performance in The Great White Hope playing a character based on Jack Johnson, the first African-American heavyweight champion. His performance in the play on Broadway won him his first Tony Award; he received an Oscar nomination for his performance in the 1970 film version. 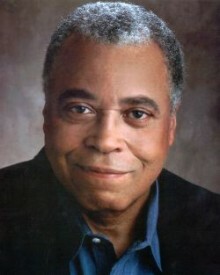 In the decades since, James Earl Jones has continued to appear in memorable roles on stage, in feature films, and on television. He made his big screen debut in Dr. Strangelove in 1963 and has worked in over 50 films, appearing in everything from Conan the Barbarian to Field of Dreams. He played “Admiral Greer” in the highly popular series of films based on the Tom Clancy novels The Hunt for Red October, Patriot Games, and Clear and Present Danger. One of his favorite roles is that of the South African minister in the classic, Cry, The Beloved Country. Younger audiences will recognize his voice as “King Mufasa” in the animated classic The Lion King,and as Darth Vader in the Star Wars films. Throughout his career, he has regularly returned to the live theater, winning acclaim for his performances in Of Mice and Men, in Athol Fugard’s Master Harold and the Boys, and as King Lear for the New York Shakespeare Festival. Over the years he has received numerous honors for his work. He won a second Tony Award for his stunning performance in the Pulitzer Prize-winning drama Fences by August Wilson. In 1992 he received the National Medal of Arts for his services to American culture. The following year, he won critical praise for his autobiography, Voices and Silences. He was honored by his peers with the Lifetime Achievement Award of the Screen Actors Guild in 2009 and received an Oscar for Lifetime Achievement from the Academy of Motion Picture Arts and Sciences in 2011. Forty years after his breakthrough performance in The Great White Hope, James Earl Jones remains active on both stage and screen. In 2011, he enjoyed successful runs on Broadway and London’s West End starring opposite Vanessa Redgrave in an acclaimed revival of Driving Miss Daisy. Between roles, he makes his home on a secluded farm in upstate New York. Do you want to hire James Earl Jones? Directly request a quote. In 48 hours we can send you the availability of James Earl Jones If you would like to book James Earl Jones, Entertainment Booking Agency is the right place. We will offer you the best price and contact the management or we directly contact James Earl Jones. For corporate appearances or speaking engagements you can contact our agents and the will help you true the process. Tags: hire James Earl Jones, James Earl Jones booking, book James Earl Jones, James Earl Jones appearances, find more information on booking James Earl Jones for appearances, James Earl Jones speaking engagements, James Earl Jones endorsements/spokesperson, James Earl Jones appearance fees, James Earl Jones booking agency contact info, biography of James Earl Jones, Contact an artist booking talent agent find a speakers bureau that can book James Earl Jones, speaker booking agency for James Earl Jones, James Earl Jones booking agency, James Earl Jones booking for corporate event. EBA is one of the biggest entertainment booking agencies in the World. We book hundreds of celebrities, artist, athletes and speakers in a year. Important to know is that we are not claiming to be the management of James Earl Jones. We are not the official agent for James Earl Jones. Companies from around the globe book these artists and speakers true our company be course we have one of the biggest networks and we always have direct contact with the artist or the management. We help you to find the right celebrities for your corporate of private events. Please contact one of our agents to get free advice and we will help to get the world-famous artist on your party.